Tomato strips in puree from pear tomatoes shall be prepared from fresh picked round tomato varieties that have been washed, peeled, hand sorted for quality and cut into random shaped tomato strips. A full-bodied puree made from fresh tomatoes is used as a packing medium. Salt and naturally derived citric acid are added for flavor. 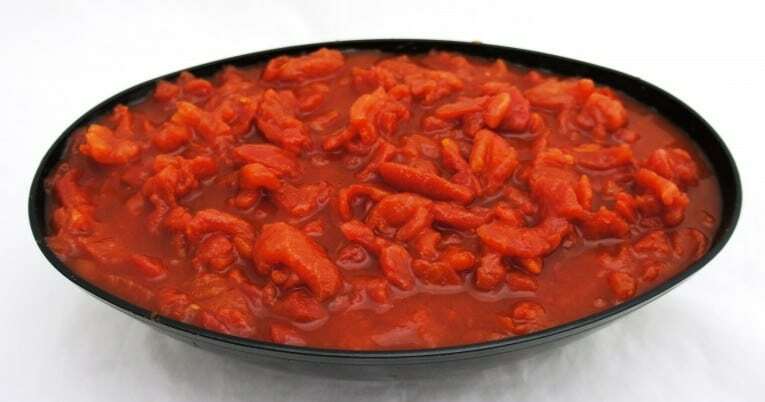 A great starter base for many red sauces, excellent yield with a minimum of 75oz drain weight. The finished item has a moderately soft but not mushy appearance characterized with readily discernable pieces of tomato. It has a bright red color and is practically free from defects.